Last weekend, during the balmy, crazy weather in Cincinnati, I was able to do some much needed yardwork. Having moved into our new home during the holidays prevented any of this to be done, so I couldn't wait for the opportunity! I knew the rose bushes, clematis and yard debris needed attention, but all I could think of was the birds. The birds! I love birds. I must admit they do freak me out a bit when they are too close. Not sure why, maybe it's the fluttering of the wings - but that same fluttering is why I think they are so cool. I could gaze at these beautiful creatures gracing the sky for hours - wishing I could do the same. 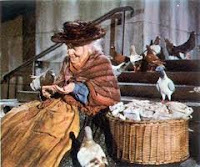 Because I love birds and now have an empty nest ( my own little chicks no longer consume all of my attention), I have decided to pull a scene out of Mary Poppins and feed them regularly. The berry trees have done a great job of feeding them until now, their branches are bare. Bird seed and feeder time indeed. It took a few days for the birds to figure out that my feeder even existed. However, this morning I noticed they had indeed found it and they had already figured out a "pecking" order. I was less than happy! 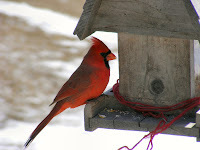 You see a beautiful yet bossy cardinal was usurping the entire feeder! A small, sweet chickadee flew up with great anticipation, but no, that big red bird dashed the tender chick to the ground. Then a bolder gray woodpecker with a cap as red as that cardinal tried her luck, swoosh! Off she went flapping her wings to the closest tree. This went on for 15 minutes (which of course made me a tad late for the office) and I am sure probably longer. I started to pray, "Father, please help me not to be like that cardinal. Help me Lord, to sense when someone wants to be involved, when someone yearns for friendship, when someone is hungering for the spiritual food that your message brings. Help me not to be self absorbed and tyrannical of "my place" and that I have the eyes to see and ears to hear the needs of another. Help me to share your blessings, specifically to share the blessings of leadership of your amazing ministry of AHG." Just a point to ponder: Are you sharing your blessings, giving others an opportunity to perch at the feeder? Are you delegating leadership? Are you controlling the entire Troop or do you understand you are just one of the many "birds" God created for His work? 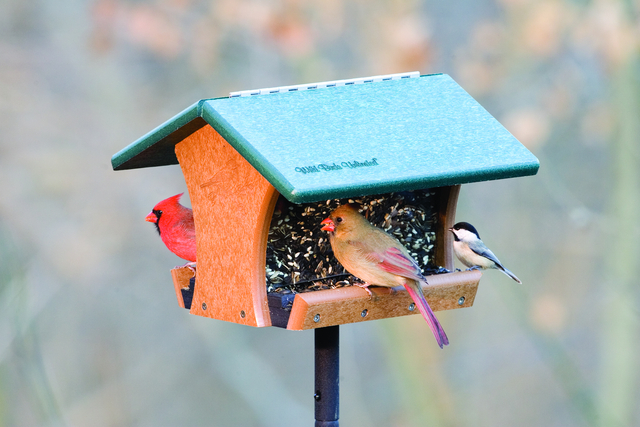 Do you see the value of the chickadee, the woodpecker and the cardinal? (MI3130) This is a very timely message for me, Patty. 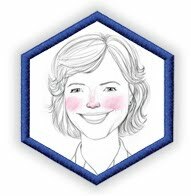 As current Troop Coordinator, I have been intentionally searching for my eventual successor this year. It has been interesting to see the reaction of those around me, seeing as I have been very vocal about my love for this position. It is almost as though they cannot understand why I would give up what is, in my estimation, such a "good thing". However, I do not want our troop to stagnate! I do not want our troop to become "stuck" the way organizations tend to get when leadership is not 'stirred up' a bit. It is truly best for our girls and for our leaders to let some new ideas and influences take the headship positions now and again. Isn't the recommended term for AHG Coordinator two years? I think there is wisdom in attempting to adhere to that 'term limit'.